How has your summer been? Even though we had a quite hot summer in Portland this year, it has been an awesome summer for us 🙂 One of the reasons that made our summer so cool is this styled shoot! Just like one of the weddings I took pictures of in this feature by Art of Wedding blog, more and more Japanese couples are visiting Portland for their small destination wedding in Portland. In the past I was working as a freelance wedding photographer in Japan. When I started living in and taking pictures of weddings here in Portland, I was truly surprised at the theme, locations, and places that we can choose from. There is so much variety here! I think Portland is one of the best place to get married. We have ocean, falls, river, woodland, mountains and lakes very close to the metro area which also has a great and unique flavor compare to other cities in the US. 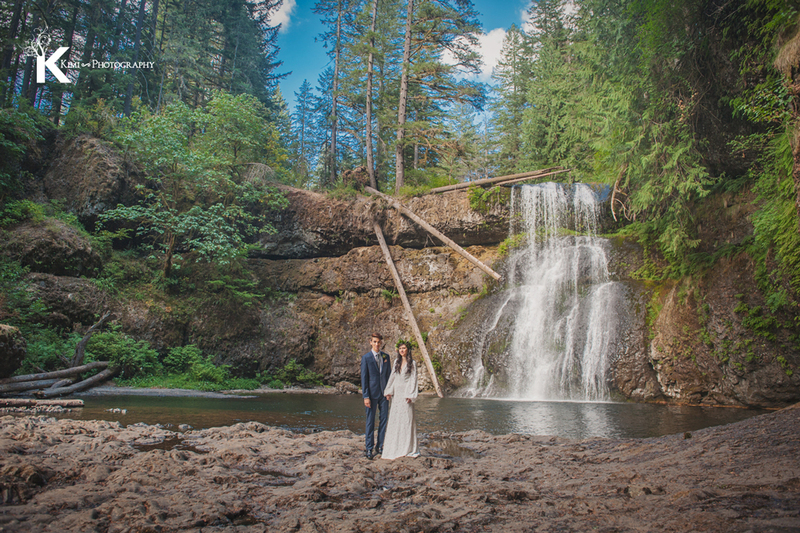 (I think I’ve traveled and checked out quite a few more states than most) Yes, it rains during the winter, so we have a limited season for outside wedding, but I believe that Portland can be one of the most beautiful places to have a wedding. Since it has been popular to have a destination wedding in Portland for Japanese couples, I have been thinking to do a styled shoot to appeal to those couples who are comfortable to be in the boho theme and looking for the Asian taste. Susanna from Pistil and Stamen (pspdx.com) and Kimberly from Sweet Black Raspberry (www.blacksweetraspberry.com) helped me to develop the idea and make it happen in real life. 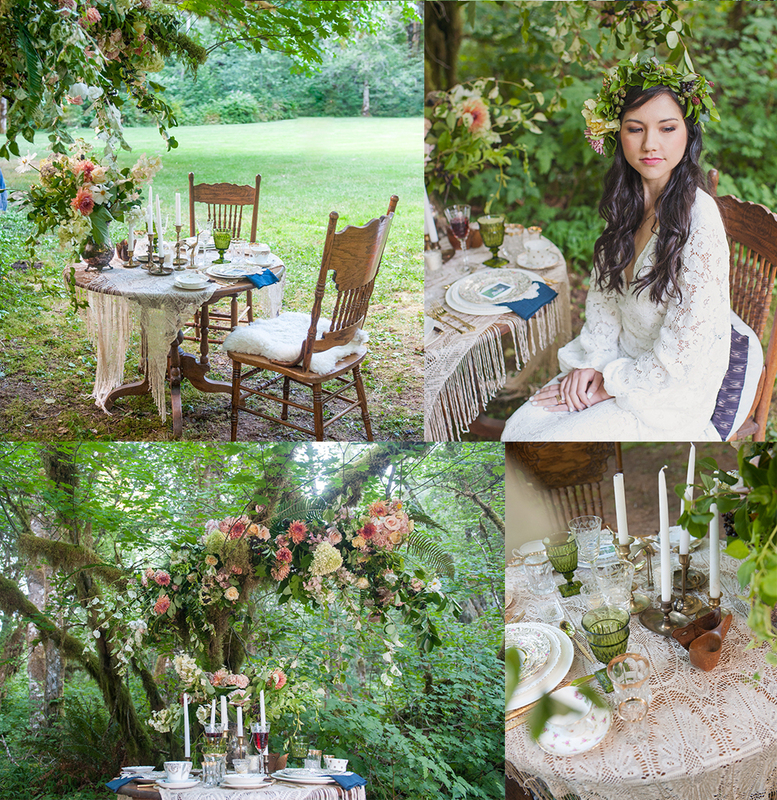 We decided to create a few scenes at different locations in this styled shoot: Falls, woodland, glamping, with a bit of bohemian and Asian taste to tie all together. With words, it is a little hard to describe it… I hope the pictures will communicate better to you! I am so thankful to work with all the vendors who are willing to be a part of this and put their time, effort and talent to this photo shoot. Here are some pictures at the fall and woodland sweetheart table setting. We will post more about this shoot in a few days!